In June 2011, the Duchess of Cambridge (Kate Middleton) wore a pair of blue Manolo Blahnik ‘Calogera’ court shoes on the tarmac at Heathrow Airport. William and Kate were travelling to Canada for their first official overseas tour. Five years later, Kate chose the sleek leather shoes for a visit to King’s College Hospital in London. 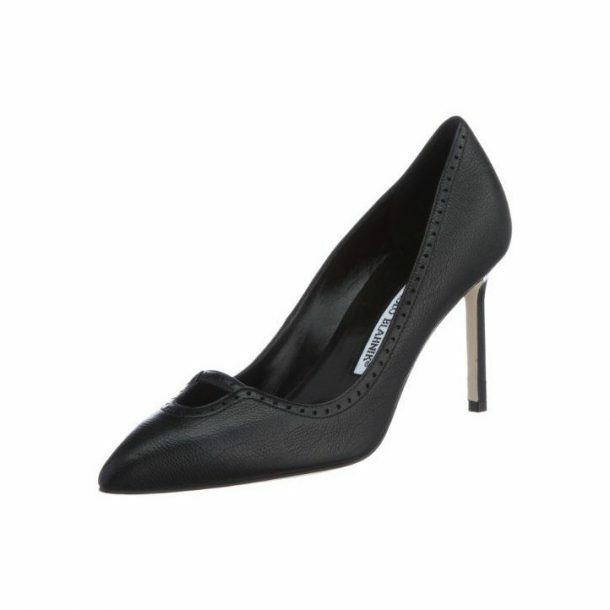 Sadly, Manolo Blahnik no longer sells the Calogera court shoes.